Newcastle-based author Guy Mankowski has been writing novels for many years. In 2012, he published his breakthrough novel Letters to Yelena. The story of a Ukrainian ballerina who comes to the UK to achieve her dreams, it was a dark portrayal of one woman’s inner torment and the lengths some people will go to in order to find themselves and escape their own pasts. His recently released novel, How I Left the National Grid, tells the story of an iconic post-punk frontman, Robert Wardner, his life, and the tale of a journalist tasked with tracking him down. Possibly based a little on our own Kingsley Chapman, the book is a taut and psychological look at the life and times of a man thrust into the limelight, whether he enjoys the fame or not. 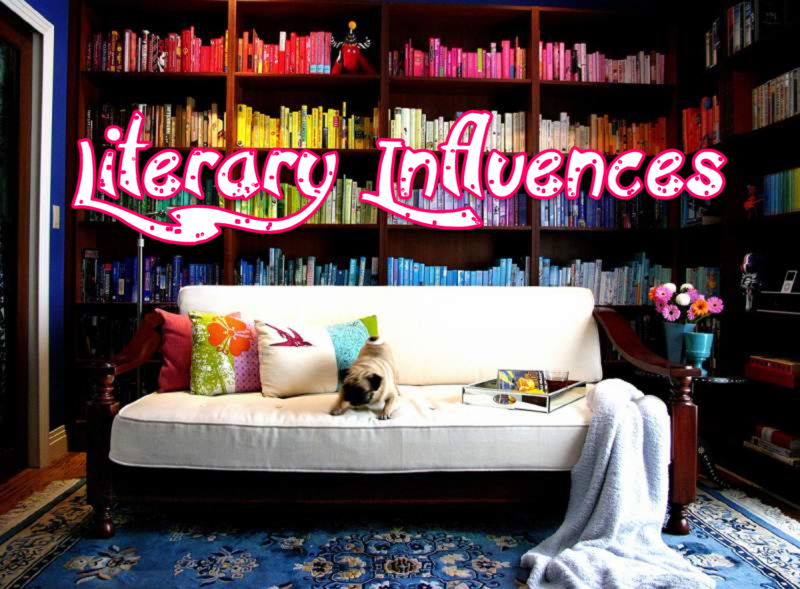 Here, he discusses the books that he enjoys the most and those that have had the most impact on him, from Moz’s autobiography to Owen Jones’ social commentaries. I was at the Tyneside Cinema when they had the live chat between Owen Jones and Russell Brand about his plans for a revolution. I wished that Jones had applied the same ruthless insight he shows in this book to our nation’s self-appointed messiah. 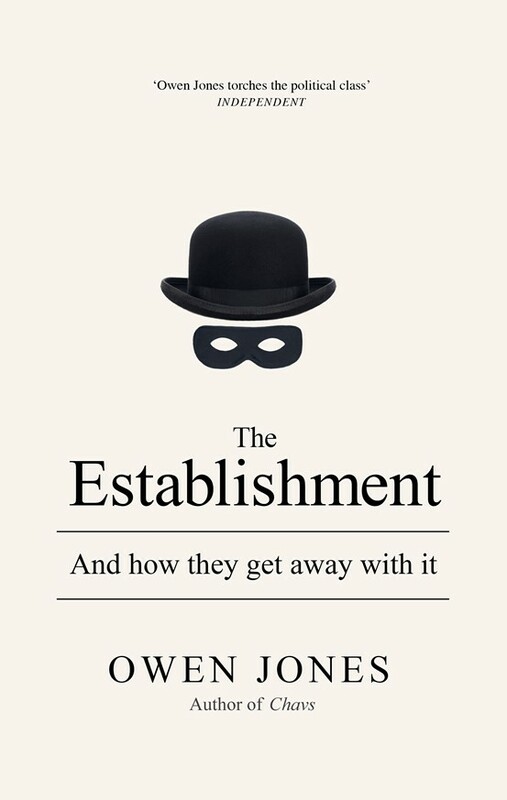 This book describes how a murky, and apparently democratic system like The Establishment was built, whilst it also found a way to protect itself from the type of scrutiny true democracy would require. The book refrains from falling into conspiracy theory territory, with Jones having gutsily conducted face-to-face interviews with some establishment figures that he clearly found very objectionable, in order to shed some light on their true intentions. As an angry, articulate, left-winger Jones achieves something pretty inspirational in this book. He manages to contain his fury at scandals such as the Iraq War cover-up, whilst also including just the right amount of detail so that we become furious ourselves! Despite all the corruption that’s currently coming out of the woodwork I think it’s exciting we’re living in an era in which technology allow us to the highlight the mistakes of the last generation. 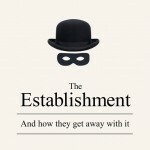 This book illustrates just how slippery and devious Tony Blair and George Obsorne have been regarding their true intentions. Brilliant as he is, Owen Jones does sound like George Formby in real life, so I probably wouldn’t recommend the audio book. I love this book more for what it is than for what is actually in it. 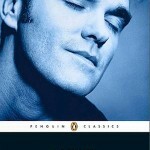 For one, I genuinely never thought Morrissey’s autobiography would see the light of day. I suppose that for any artist there is a balance to be struck between creating a myth about yourself, and also offering genuine insight into what you do. 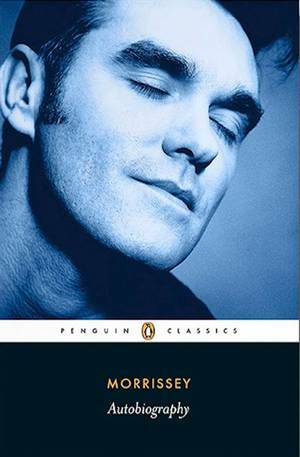 I always assumed that Morrissey would focus on the myth building, and decide it was smarter to tantalise people about the existence of his no-holds-barred memoir, without having to go the trouble of writing it. I think it’s fair enough that this book was a Penguin Classic. The fact that it was makes it, as a piece of expression, seem definitive. That was a smart move on Morrissey’s behalf. Before the book was released, along with other Morrissey geeks, I read a sample chapter that was doing the rounds on his forums. It was an incredibly lyrical, beautifully written piece in which he and Linder Sterling ventured into the Moors and encountered a ghost. As a younger man Morrissey was obsessed with the Moors murders, which for some reason loomed large in his consciousness. Bafflingly, this spectral scene was cut from the biographies, but there are sequences about the horror of his childhood that are outstanding pieces of writing. Last year I was over the moon when an excerpt from my novel, Letters from Yelena, was used next to an extract from this book in GCSE training material, by Osiris Educational. Also, I love that Morrissey wrote these long, repetitive, ranting sections about his court case against The Smiths’ drummer, and refused to let Penguin cut any of it. I think Morrissey was more than entitled to insist on that. How dare Mike Joyce sue the great Moz? The cheek of it. To quote Morrissey, he must have known how Joan of Arc felt. 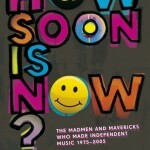 This is a book about all those mysterious indie pop bands- from KLF to My Bloody Valentine- that we find so intriguing. 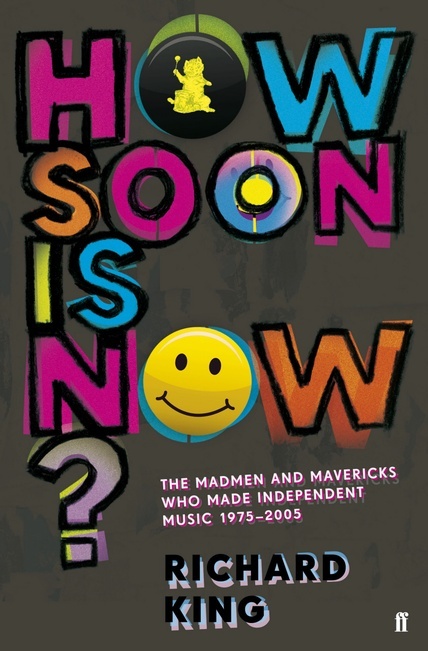 It chronicles the blood, sweat and madness of tiny indie labels who were often operating out of no more than sock drawers. It looks at how labels like 4AD managed to churn out great works of art, given the insanity that was often going on in the lives of their musicians. I’ve always thought the covers of Cocteau Twins records are mini works of art in their own right, and that by merely by looking at them you step into a sepulchral world of gothic castles, petals full of bathrubs and misty landscapes. 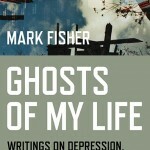 But this book covers the darker side of indie too. The chapter about The Libertines is very illustrative. Peter Doherty, who seems to have found the songwriting partner of his dreams, and gained the adoration of every vinyl-haired indie girl in the land, blows it spectacularly. The chapter tells the story of how a record company executive, James Endeacott, feels compelled to buy a load of clothes from Primark so Peter has something to wear in his recovery clinic. Pages before Pete and Carl have been enchanting every basement club in the East End with their songs about Albion. This book is a tale of trauma and inspiration. Very simply, this is a sprawling, beautiful book about a group of art-obsessed people in New York. I find it enchanting because in the novel Huvstedt describes the sculptures and paintings that various characters create, and she does it in a way that makes them come to life. So as well as creating a work of great fiction, within the book she is also creating other, enduring pieces of art, that never actually existed. These pieces of art reveal facets about their creators in a way that pure prose never could. I am fascinated by the idea of art within art. This is a very strange book, from one of my favourite publishers, Zer0 Books. 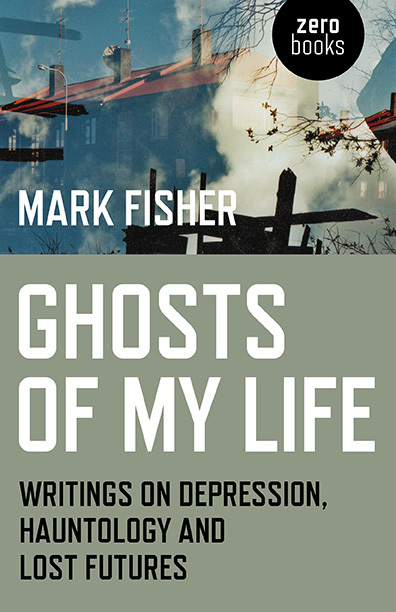 Mark Fisher is one of the most brilliant interpreters of this postmodern era which has been dubbed “the slow cancellation of the future” and a “temporal malaise.” By using case studies on the likes of Kanye West and Christopher Nolan, he discusses how capitalism created a situation in which no one can really create new art. He describes how we’ve got to the point where no popular culture can challenge the status quo, but only rehash previous attempts. He uses some bizarre examples. From the spooky sci-fi series Sapphire and Steele (which accurately predicts the future as a series of pristine nowhere-places) to the haunting work of Joy Division, he explores how various people predicted futures which never came to pass. There’s essays on everyone from Tricky to Jimmy Saville. By examining the glittering sludge of popular culture he asks us the most pertinent question- where are we now? How I Left The National Grid is out now.